Bromelain is an important compound that is primarily found in pineapples. The nutrient is valued for its strong anti-inflammatory actions and many health benefits. Due to its protein digesting properties, bromelain has also become a staple component of supplements containing digestive enzymes. Bromelain is notable for its anti-inflammatory and analgesic effects that help alleviate chronic pain. In fact, a 2006 study found that patients with painful hip osteoarthritis who took a bromelain-containing mixture exhibited similar improvements in symptoms as those who took a nonsteroidal anti-inflammatory formulation. Bromelain is also touted for its powerful action against sinusitis and hay fever, and is found to reduce mucus secretions associated with the said conditions. Bromelain is also valued for its beneficial effects on the digestive system. Once assimilated in the stomach, the compound is shown to break down and digest protein efficiently. Data from preliminary studies also show that bromelain may potentially facilitate fat metabolism. The nutrient is also notably effective in relieving heartburn, irritable bowel syndrome, and other digestive system conditions. Aside from this, the compound is touted to fortify the body’s immunity against viral and bacterial infections. In addition, bromelain is found to improve muscle pain and muscle soreness. A study published in 2002 examined the effects of bromelain on patients who underwent an upper body resistance-training program for three months before the study period. 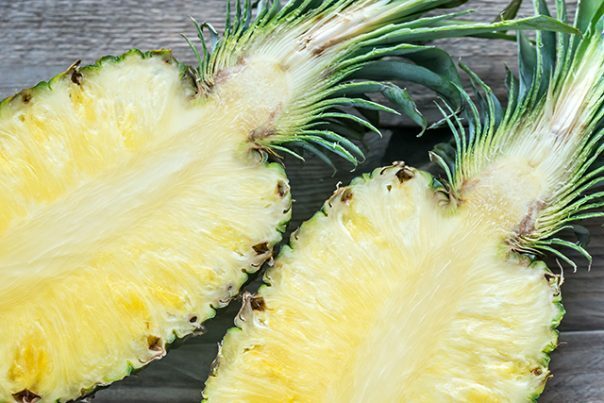 According to the results, participants who took bromelain supplements achieved relief from muscle pain and soreness similar to those who took ibuprofen and those in the placebo group. Moreover, previous studies have demonstrated that bromelain may offer protection against various skin conditions. A 2007 study found that patients with a skin disease called pityriasis lichenoides chronica who received oral bromelain supplements for three months were able to completely recover from the disease after the treatment. The study has also shown that while two patients experienced relapse, they were responsive to another round of treatment with bromelain supplements. Furthermore, bromelain is touted for its potential in cancer prevention. Bromelain is known to act directly on cancer cells and their micro-environment. The nutrient is also shown to help regulate the inflammatory and haemostatic systems. Bromelain is remarkably effective in relieving arthritis and promoting the skeletal system’s overall health. Likewise, the compound is helpful in maintaining strong immunity against viral and bacterial infections. Bromelain is also known to improve the body’s overall digestive profile and address issues of the muscular system. Moreover, the nutrient helps maintain a healthy skin condition. Because bromelain is found in pineapples, the best way to enjoy the compound is by incorporating it in certain beverages such as coolers and smoothies. An entry on the Nutri Living website features an interesting smoothie recipe that uses bromelain. Bromelain eases chronic pain, arthritis, hay fever, and viral infections. Bromelain prevents cancer, digestive issues, and muscle pain and soreness. Bromelain wards off various skin diseases and sinusitis. Bromelain benefits the skeletal, immune, and respiratory systems. Bromelain supports the digestive and muscular systems.